Samsung may be busy with its upcoming flagship Galaxy Note 9, but it has some other plans too. It has been a while since the Korean company has launched Gear S3, the smartwatch back in 2016. Since then the smartwatch market has grown tremendously, and almost every tech giant is trying their hands in the category. The Samsung Gear S3 was a success for the company, and we were hoping to see a more enhanced sequel of the watch. 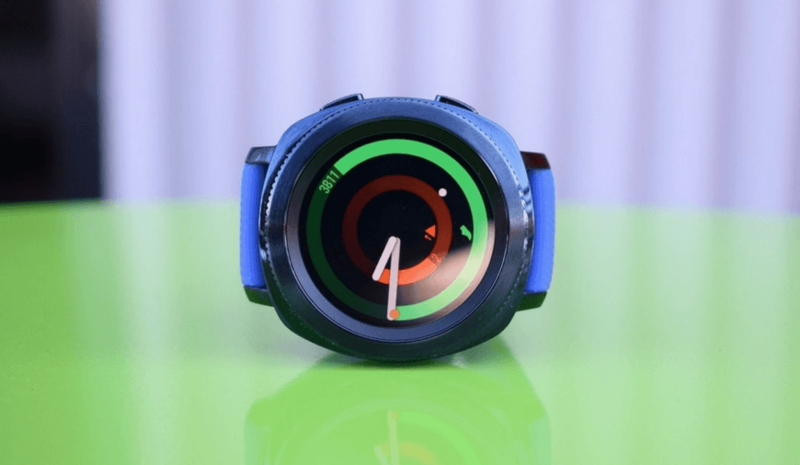 Now, the recent rumors have surfaced about another smartwatch from the company. However, the rumors reveals that instead of Gear S4 the new watch will be called Samsung Galaxy Watch. For now, we have some leaks and rumors about the new Samsung Galaxy Watch that the company could launch later this year. Besides, the watch is also expected to debut with an unexpected operating system. The name of the new Samsung Watch popped up a few months back, but without any evidence. However, a few weeks later a logo stating the Samsung Galaxy Watch name came on the surface. The logo contains the Samsung name and iconic Galaxy sign that seem to be authentic. The step could be considered as the initial branding of the upcoming Galaxy Watch from the company. The Watch OS being used as a platform on the Galaxy Watch could be a significant change in the market. All the Samsung wearables are based on the company’s own customized platform named Tizen. So, the change in OS is a little hard to digest without any substantial evidence. Earlier, this year there was news that some of the Samsung employees were spotted wearing Samsung watch running on Wear OS. However, the rumor was turned down by none other than Evan Blass over Twitter.The only Samsung Wearable that came with Android Wear was Samsung Gear Live in 2014. If the rumors turn out to be true, then it will be a success for Google as it requires big names behind Wear OS to make it a big thing. When can we expect the Samsung Galaxy Watch to be released? Samsung hasn't made any official comment on the Galaxy Watch yet, and there is no release date available. However, we have some idea about the announcement of the new watch from the company. We believe that the IFA 2018 is the most suitable stage for the tech giant to announce upcoming Galaxy Watch. If this will be the case, then we will get to see the glimpse of the new Galaxy watch between August 31 to September 5. There were also some rumors that Samsung could announce the Galaxy watch at the August 9 event while launching the Samsung Galaxy Note 9. However, we don't think that the company will share the Note 9’s spotlight with any of the other devices. How much the will Samsung Galaxy Watch cost? The price of the Galaxy watch will be an essential part that will decide its future in the industry. Samsung Gear S3 was launched with the price tag of $349 which was quite high in 2014. However, the contemporary market hosts the new generations watch with the similar pricing. The Galaxy Watch price depends on the design and features that the company will incorporate in it against the rivals. Apple Watch Series 3 with GPS and LTE support cost $399. So we expect the Samsung Galaxy Watch to cost somewhere between $300 to $350. For now, have only these information about the upcoming Samsung smartwatch. We will be updating you about the new leaks and news of the Galaxy watch in future.